The Lofoten Islands are a dreamlike landscape of rugged mountain peaks rising directly from the deep blue sea. North of the arctic circle, Lofoten is a true land of the midnight sun, where it will circle the sky for nearly two months without setting. During summer, time ceases to hold much importance and beginning a hike at midnight makes just as much sense as noon. 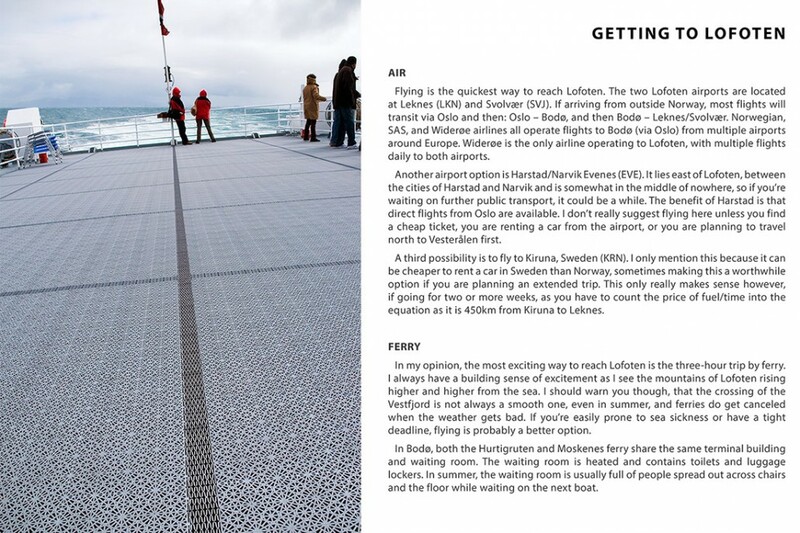 In this guide you’ll find the information I’ve gathered over many years of travel to the Islands, helping provide you with a working knowledge base to plan your visit to Lofoten and experience the best the Islands have to offer. 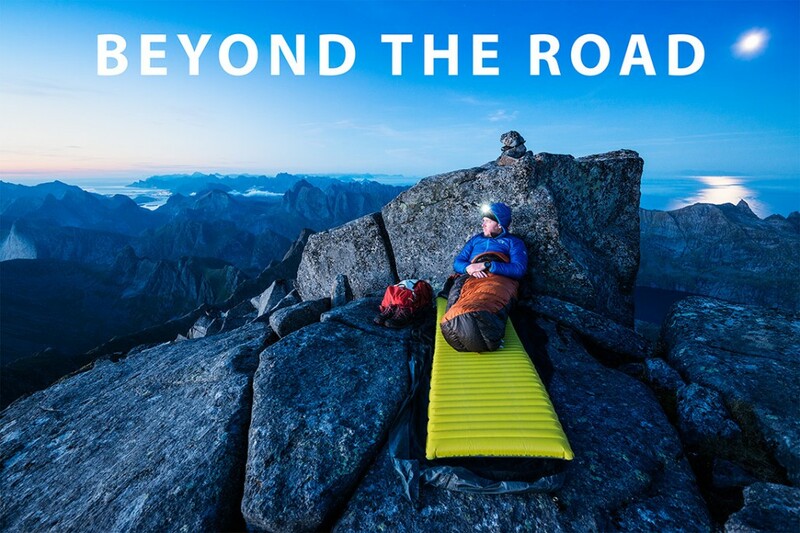 Welcome to Lofoten – welcome to the Islands of light. 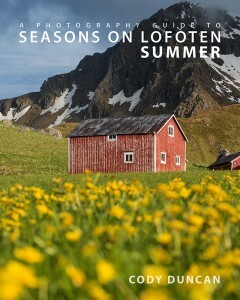 Seasons On Lofoten – Summer covers the months of June, July and August on the Islands. 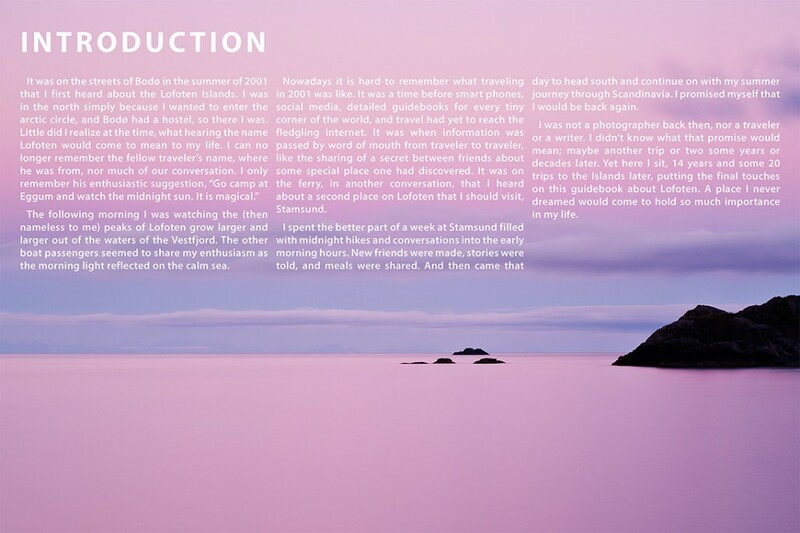 Starting with the basics of travel and logistics, the true heart of the book is the inspiration to begin your own journey of discovery on the Islands. 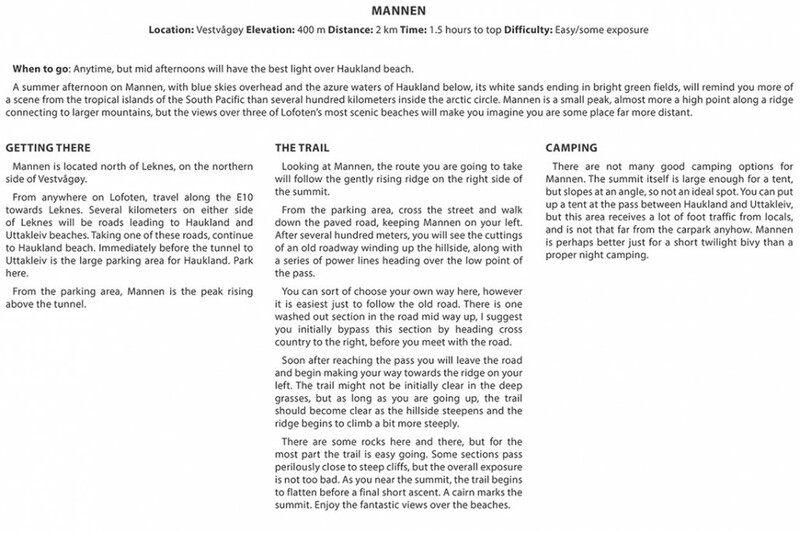 But if you’re looking for something more concrete, I’ve also included detailed hiking and camping guides to several of my favorite summer locations on Lofoten, the famous Kvalvika beach and mountain summit of Ryten among them. 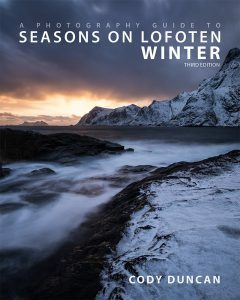 Seasons On Lofoten – Summer is the perfect guide for both photographers and travelers alike. A brief summary of what to expect during the summer months on Lofoten to help you choose which month will be best for you to visit the Islands. Camera gear to clothing: what you need to bring to keep yourself warm and dry while focusing on your photography. Or, if you need some fuel for you stove, a listing of shops where you can resupply. Key dates and descriptions of the changing of light throughout the summer. From the midnight sun of June, the twilight nights of July, to the return of the northern lights at the end of August. This chapter tells you what light you can expect across the summer months. An introduction to the wild side of Lofoten for the more adventurous. Lofoten begins where the road ends. 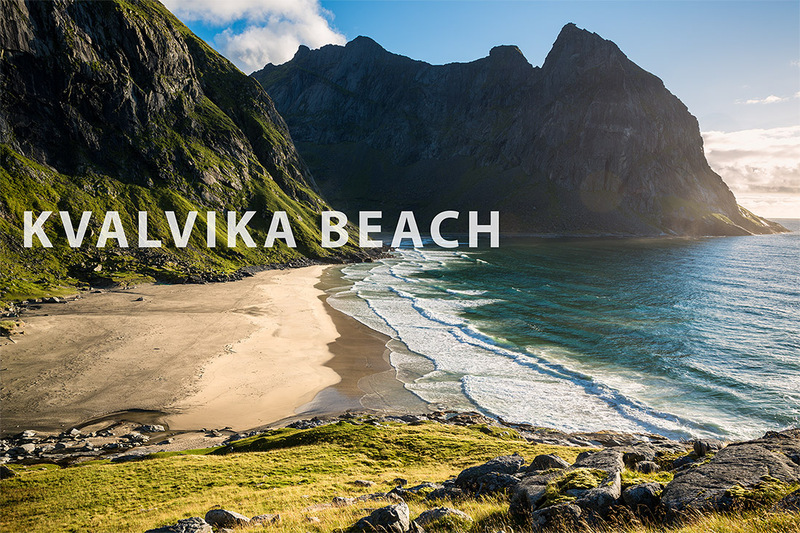 Six of my favorite summer mountain views and beaches on Lofoten. 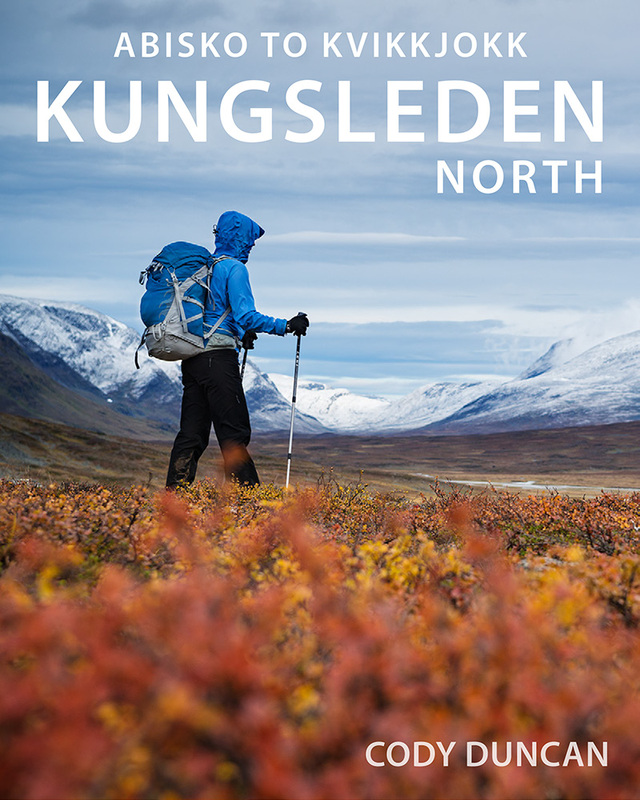 Hiking guides to Bunes, Horseid, and Kvalvika beaches, as well as the stunning views found from the summits of Ryten, Mannen, and Reinebringen. 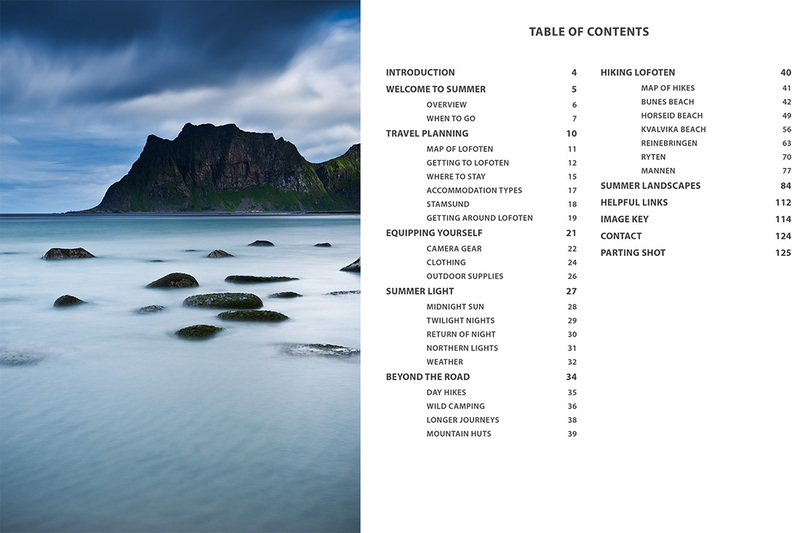 A 27 image portfolio serving as a visual guide to some of Lofoten’s most scenic summer views.